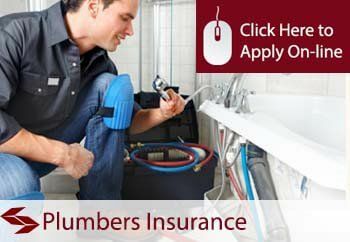 Plumber Insurance: Cheap Quotes for Plumbing Contractor Insurance. Plumber contractor insurance also known as plumber’s insurance is a complete necessity for any contractor providing plumbing services. Operating a plumbing company in today’s stressful business environment is anything but easy. Of course, you want to go above and beyond to satisfy and impress your customers, but you should never turn a blind eye to the potential damages or losses that can arise out of your plumbing business. Plumbing contractors can face an abundance of problems which in most cases lead to law suits. Although it is impossible to eliminate the risks, it is possible to prepare for the future and offset the damages, by investing in plumber insurance. If you’re in the plumbing business, you will want to read the information below so you can learn why having insurance is necessary. Doing this will educate you while maintaining your peace of mind and focus on satisfying your customers with fewer concerns by having an adequate insurance for plumbers policy in place. Understanding Plumbing Contractor Insurance – What exactly is this coverage? Although you may be the most dedicated and cautious plumber on the planet, problems can still occur. Even a small mistake could lead to thousands and thousands of dollars worth of damages. One pipe bursts, a flood happens… guess who the client is going to sue.. YOU. With this in mind, you should take precautions to protect your business and secure your revenues. Obtaining plumbers insurance (Plumbing Contractor’s insurance) is not only highly recommended while doing construction in a big city like Mississauga or Brampton, but is only a requirement by Ontario law. When you are in a situation where your client has faced damages or losses (Residential or Commercial) has now sued you to recover form damages, your plumber insurance coverage kicks in and pays the claim (Up to policy limits and conditions). If something goes wrong, you as the plumber could very well take the blame. Therefore, you should protect your business with a plumbers insurance policy! There should be no question in mind about weather you need contractors liability insurance as an independent contractor or not. Company of any size requires insurance to be able to legally do any work and receive compensation from the public. First of all, before you get confused.. plumber’s contractors insurance (plumber insurance) is actually called general liability insurance for plumbers in insurance terms and on policy wordings. Now that we got that straight, you should realize that General Liability Insurance for plumbers is a vital part of your plumbing insurance. This type of coverage is highly recommended for all professionals and is undeniably a required for plumbers. With this type of coverage, you will be protected against lawsuits, as well as other financial liabilities, which can arise from onsite accidents and other hiccups. Combining General Liability insurance with your commercial auto is highly recommended if you dive vehicles for work. This will get you a combined package discount and and will also provide you with added reassurance. So how do I get some Quotes? What is the Process? As a modern business owner, you likely understand how hectic your schedule truly is. You’re simply too busy securing projects and working to satisfy customers rather than sit around and attempt to find affordable insurance for plumbing business. Obtaining quotes for plumber insurance ontario is a simple and easy process. We here at Contractors-Insurance.ca, complete a quick 10 minute application with you on the phone and then go to multiple insurance companies and get you quotes. Once you approve your quotes and coverages, you tell us to bind your policy the same day by making the payment. The good news is that you’ve come to the right place. With our assistance and over 30 years of experience, you will be able to find the most plumbing business insurance coverage for the lowest price. No More Shopping Around : Contractors-Insurance is here! Attempting to obtain insurance can be a little more complicated than it may seem. If the process takes away from the amount of time you can dedicate to your customers, you’re in trouble and are losing money wasting time with an inexperienced broker. Nobody volunteerly wants to shop for insurance.. Unfortunately, as a plumbing business owner, you’re going to need a handful, including general liability insurance, worker’s compensation and even commercial vehicle insurance. You can rest assured knowing we’re here to help you through the whole process. When you wish to secure your future and further protect your plumbing business, give us a call and we will arrange the best plumbing contractor insurance for you in Ontario, Canada!